This guide looks at the 10 best all around lenses for Nikon cameras. Those of us who buy new cameras may get a kit lens thrown into the deal or bundle. But kit lenses rarely exceed expectations, right? By “all around,” I mean an everyday lens that checks enough of your boxes. The ideal walk-around lens for YOU depends on your camera. It should also deliver in those areas you need it to shine most. Some photographers go on shoots with a single lens that lives on the camera. Others have walkaround kits that include a few go-to lenses. It could be prime or zoom lenses, or a combination of both. What is your specific style? What features must the lens have? How fast should it be? You can have some of these things, but you’re unlikely to get them all in a single product. List your priorities. Feel free to jump to the relevant lenses if you know your basic needs and wants. Read all the reviews on this page if you’re still uncertain and need help to decide. There’s a mixed bag here based on personal choices, user reviews, and expert opinions. We have prime lenses and zooms. We will explore wide-angle to standard, to telephoto. Every capable walkaround lens in this guide is for Nikon cameras, but they’re not all Nikons. You’ll understand why once you read the reviews. Let’s say you mostly shoot landscapes. Your ideal walkaround lens will differ from that of someone who primarily shoots portraits. Click to See Price: Nikon AF-S NIKKOR 28mm f/1.8G Lens The first things I look at with any prime lens for a full-frame camera are speed and weight. The Nikon AF-S NIKKOR 28mm f/1.8G Lens checks both boxes. It’s light for a lens in its class and super-fast. I also liked the fact that it’s an affordable lens with Nano Crystal Coating (NCC). That’s something we only used to find on costlier lenses at the higher end. NCC does a great job at reducing reflections. It’s a great all-around lens for anyone who shoots a lot at this focal length, and most of us do (see below). You hardly notice its presence even when mounted on the bodies of full-frame DSLRs. If you have a smartphone camera, then you’re already familiar with the 28mm focal length. If you get great shots with your camera phone, you’ll get even better photos with this quality piece of glass. I’d say this is a sharp lens to keep for most who buy it. The price is reasonable, and the small size and lightweight are always welcome features for any lens. The build is a bit plasticky, but it’s still robust. Over 80% of online reviews suggest this lens meets or exceeds all expectations. Reviewers share similar thoughts to mine. They praise the lens for its weight, compact size, and image sharpness. There are a few uploaded photos to support online reviews, but not as many as we find with some lenses. The cost is something else reviewers mention. I don’t see any price gripes with this product. The 67mm filter thread is good news for photographers. It’s a standard size for Nikon wide angle nowadays, and it’s not too big. That means new filters are easy to get and affordable. Not every reviewer writes glowing feedback, though. Those into astrophotography don’t seem too impressed. Others compare it negatively to similar lenses in its class, but they’re in the minority. Lens performance can also vary depending on the Nikon digital camera—as with all lenses. 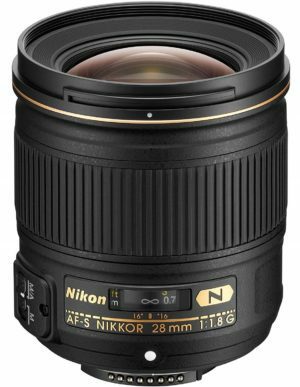 If you buy lenses based on user reviews, though, the AF-S NIKKOR 28mm f/1.8G is sure to make your shortlist. Nikon’s AF-S NIKKOR 28mm f/1.8G is just 2.9 x 3”, which makes it compact for a prime wide-angle lens. The plastic construction contributes to the light-duty housing and ergonomic design. This lens is tack sharp, enhanced further by its specially curved glass. Novice critics often judge sharpness as if its solely a lens thing. It’s not. Photographers also play a part in image sharpness. It has impressive sharpness overall and ranges from very good to exceptional. It’s both well-balanced and well-behaved, and that helps you to shoot with continual confidence. The close focus ability of this lens is often a surprise to those who buy it. You can shoot as near as 0.8 feet (0.25m) from the actual image plane. You won’t find any complaints with close-up performance. Another pro is the lens’ autofocus (AF) that is fast and accurate. You can switch from AF to manual (M) focus using the M/A – M switch. All it takes is a quick touch of the focus ring in the M/A position. Lateral and longitudinal chromatic aberration (CA), and linear distortion is minimal. A little distortion is quite typical with the faster prime lenses. It’s also easy to correct in most cases. There are a few other notable features to value with Nikon’s AF-S NIKKOR 28mm f/1.8G. The lens’ high brightness is one, and the creamy bokeh effect produced because of it. A Silent Wave Motor (SWM) provides whisper-quiet, rapid, and accurate AF. And the rear focusing system means no change to the physical length of the lens. This lens has aspherical lens elements (AS). The AS does an excellent job of eliminating various types of lens aberration. There’s also Nikon’s Super Integrated Coating or SIC (not the ideal acronym). SIC helps to reduce lens reflections over a wider wavelength range. It’s also supposed to improve color balance. You’d need the same lens without SIC to make an accurate comparison, though. There’s some evidence of light fall off (vignetting) at the f/1.8 and f/2 apertures. I couldn’t see any darkened corners by f/2.8. The vignette is minor and easy to correct but still needs a mention. Not all plastic is the same, and this lens is an all-plastic build aside from its metal mount. There are complaints that it looks and feels too plasticky or cheap. That may be true, but it’s not the full story. I agree with some of the above, but it’s not enough to affect a buying decision in my opinion. Yes, it looks plasticky, but it feels good in the hands. The plastic also keeps it light which is a major plus. The final gripe is the price. It’s a lens only for DX cameras where its angle of view (AOV) is closer to 42mm. For the smaller DX sensor, a 35mm f/1.8 DX is probably a better and much cheaper choice. Click to See Price: Sigma 30mm F1.4 Art DC HSM Lens Sigma has become my favorite third-party lens maker since its Global Vision makeover. Their 30mm F1.4 Art DC HSM standard prime lens is an outstanding all-around chunk of glass for Nikon’s F Mount. This beauty is part of the famed ART series and an upgrade to the 30mm f/1.4 EX DC HSM. There have been improvements to the construction, and it has a new optical layout. The lens is compatible with Sigma’s USB DOCK. That means you can connect it to a computer via a USB cable. The USB DOCK then lets you adjust various lens parameters and update the firmware. There are many online video tutorials that show how to get the most out of the SIGMA USB DOCK. The overall sharpness is impressive. It’s exceptionally sharp once you get past the widest f/1.4 aperture where I found it a tad on the soft side. There’s a significant improvement in image sharpness at f/2.8. It remains consistent throughout the range, too. That is until f/16. Even then, the softness is barely noticeable to the casual eye. This lens is no featherweight, but it’s not heavy, either. Sigma has balanced its heft to perfection considering its solid build, design, and ergonomics. It certainly feels nice in the hands. The materials used give this lens a nice feel, too (more on that later). At the front of the lens is the focus ring. It’s about ½” wide with a comfortable ridged rubber style grip. The rotation of the focus ring feels smooth but not loose. That means there’s little risk of knocking it out of focus. The Hyper Sonic Motor (HSM) controls autofocus (AF) which is fast, and accurate. Photographers talk about this quality prime lens for all the right reasons. It’s a sharp, capable piece of glass, with no severe vignetting and little barrel distortion. Reviewers have plenty to say about Sigma’s 30mm F1.4 Art DC HSM lens. Much of the feedback shares positive appraisal. People talk about the sharpness, good looks, pleasant handling, and quality build. Around 80% of real users are happy with their purchase from the comments I read. It’s an excellent walkaround lens that excels in many situations, they say, including low light photography. There are many photos uploaded by professionals and amateurs to support their assessments. You can view detailed examples of close-up shots, and portraiture with beautiful out-of-focus areas. Users who own or owned the predecessor to this glass are quick to point out its improvements. It also gets a thumbs-up from folks who like to shoot video. Reviewers rate this lens highly for APS-C (Advanced Photo System type-C) cameras. Note that Nikon’s DX format is an APS-C image sensor with an alternative name. The first thing people notice is the excellent quality build. This is thanks to the thermally stable composite material. It’s a superb lens as well as one that feels solid and dependable in the hands. Sigma has found the right balance with their 30mm F1.4 Art DC HSM. It’s heavy but not too heavy or too bulky. It weighs around 15.5 ounces with its bayonet-style lens hood (included). It would have been lighter with an all-plastic body. Still, you won’t find anyone complaining about the stable build. The metal feel and smooth handling are among its most talked about features. Images are tack sharp for a prime lens in its class. There’s a little vignetting in the extreme corners at wide apertures. Vignetting is not unexpected or unique to the Sigma’s 30mm F1.4 Art DC HSM. A fast f/1.4 aperture is one of the lens’ highlights and what attracts a lot of buyers. It means less flash, less tripod, and more handheld opportunities to shoot in low light. The fast maximum aperture also means you get to shoot with a shallower depth of field (DOF) focus. This all-around lens won’t let you down if creamy background bokeh is important to you. The lens’ built-in autofocus (AF) performance is smooth and fast. The Hyper Sonic Motor or HSM takes a second or less to operate through the focus range. Full manual focus override is a breeze. There’s no weather sealing on this lens. Environmental sealing is not typical of most lenses, though. That doesn’t make it any less disappointing, and it means this is a fair weather all-around lens. Sigma boasts that the autofocus is fast, accurate and silent. They’re right on points one and two. There are some user complaints that the AF is noisy—or noisier—than the company claims. Audible autofocus can be troublesome when shooting quiet indoor events and video. I haven’t found it to be a widespread complaint. Even so, there are enough comments to make it an issue for some. The disadvantages overall are few and far between for a lens in its class and price range. Click to See Price: Nikon AF-S DX NIKKOR 35mm f/1.8G The Nikon AF-S DX NIKKOR 35mm f/1.8 is another worthy choice of fixed prime lens. It’s an incredibly popular choice too, optimized for DX-format camera bodies. So, expectations are high from the start. I like having the ability to isolate my subjects with a very shallow depth of field (DOF). Fast apertures also make shooting in low light situations much more manageable. Lenses with smaller wide apertures don’t provide this luxury. That means you must use tripods and flash in failing light. Faster apertures cost more, but this lightweight beauty is affordable. The 35mm focal length makes a good general purpose lens for Nikon DSLRs. It’s one of the best options in its class. This one beats most others for aperture range, sharpness, and its superb handling. You will see why this is the prime lens choice for AF-S digital cameras as you read the review. If money’s tight, then it makes a lot more sense than the pricier f/1.4 version. OK, let’s take a look at what all those happy users have to say about it. 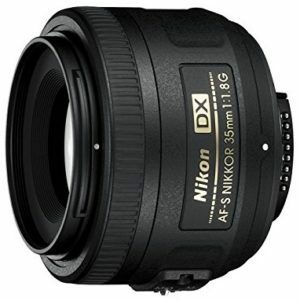 More than 95% of users rate Nikon’s AF-S DX NIKKOR 35mm f/1.8G lens. That’s impressive by any standards, and enough to sway the decision of the undecided. One reviewer jokes that the only thing wrong with this lens is that it doesn’t cook bacon. There are other, equally absurd comments, but they do echo people’s satisfaction all the same. Reviewers mention the affordability factor a lot, too. Still, the price would mean nothing if the lens failed to deliver. Some user feedback is from less demanding amateur camera users, but even they know quality. Shared appraisal talks of the fast aperture and excellent ergonomics. Users also like the ultra-lightweight, creamy bokeh, overall image quality, and low light capability. Photographers love to post images to support their reviews with this lens. There are plenty of impressive shots to show just what an excellent all-around piece of glass it is. The first thing to note is the lens’ ultra-lightweight appeal and compact design. At just 7 ounces you don’t notice its presence. Its portability and focal length make it an ideal everyday lens. Light, easy-to-handle glass helps photographers to bring out a lens’ sharpness. This little beauty produces sharp results even at its widest f/1.8 aperture. I’m talking about edge-to-edge sharpness here, not just central areas. Yes, there’s a little softening in the extreme corners at f/1.8, but its minimal. Even that disappears once you stop down to f/2.8. Bokeh effects are more than pleasing as with all fast aperture lenses. And the rounded, 7-blade diaphragm enhances the dramatic out-of-focus backgrounds still further. A fast f/1.8 aperture lets you get sharp focus on subjects as light levels fall. The lens’ low light capability means fewer missed opportunities and discarded photos. Nikon calls this ultra-light prime lens the ideal everyday companion with all-around capabilities. They’re right, of course. That’s if its focal length meets your photographic style and needs. This lens has what’s called the classic “normal” angle-of-view (AOV). It lets shutterbugs capture what the human eye sees. That’s the reason we take so many photos, especially spontaneous shots. The built-in Silent Wave Motor (SWM) delivers fast, almost silent, and accurate autofocus. There’s none of that extreme hunting found on some lenses in challenging light conditions. I can sum this lens up in a paragraph. It offers ultimate control with all-around potential. That can be street photography, cityscapes, landscapes, detailed close-ups, and whatever else catches your eye. Despite the praise, the AF-S DX NIKKOR 35mm f/1.8G is not without a few flaws—keep reading. The lens doesn’t have any Vibration Reduction (VR). It’s not a problem in bright conditions due to the fast aperture and lightweight. It would come in extra handy for lower light, though. At just 7 ounces, you already know the lens doesn’t have a metal barrel, though the mount is metal. Some people complain that it looks and feels too plasticky and fragile. It depends what you’re used to. Others say it’s sturdy plastic and feels just great in the hands. They appreciate the fact that the plastic contributes to the light weight. The cheaper feel is most noticeable if you’re used to metal lenses. I came across a few gripes about wiggle on the focus ring. The focus ring works just as it should. I still get the concerns some people have with its cheap feel. Again, it depends what you’re used to. Click to See Price: Nikon AF-S FX NIKKOR 50mm f/1.4G Nikon’s AF-S FX NIKKOR 50mm f/1.4G is a cracking little all-around lens. I like it for photographing people, but it’s versatile for all kinds of situations. It’s light, it’s compact, and its super-fast. At f/1.4 there’s some noticeable corner shading, but it’s not enough to put me off. After all, vignetting at the widest aperture is typical with fast prime lenses. The corners are a tad soft at f/2 but nothing serious. I’d say they even help to enhance portraiture by naturally drawing the eye toward the subject. Edge-to-edge sharpness becomes consistent at f/2.8. I like the overall image quality of this lens. It also has a whisper quiet autofocus, though it’s not as fast as the older f/1.4 AF-D 50mm. Another welcome feature is the weather sealed gasket at the mount. The rubber gasket at the mount provides some protection, but it’s not full weather sealing. It’s better than nothing, but it doesn’t provide full environmental protection. The 50mm focal length provides a multipurpose AOV (≈45°) on full-frame cameras. It has an excellent low-light capability, delivers high-quality images, and produces stunning bokeh effects. It’s the Nifty Fifty—an affordable lens for keeps for those who work at this focal range. Nikon’s AF-S FX NIKKOR 50mm f/1.4G sells well and ranks high. Around 90% of user feedback is positive, and there are plenty of image uploads to backup user reviews. Some call it the everything lens. That’s a bit of an exaggeration, but I can see where reviewers are coming from. You wouldn’t take it off the camera unless you had good reason to do so. Users like this product as their go-to lens for opportunistic and everyday picture taking. The common theme from reviewers is that this is a great value lens regarding cost, benefits, and build quality. Other shared likes are the lightweight, compact design, fast aperture, bokeh, and low-light capability. Common gripes are the slowish AF, plastic build, and the fact that it’s made in China. There is no single lens that can please all the people all the time. But those who buy this puppy tend to be more than happy with their investment. It’s a Nikon AF-S FX NIKKOR, so that gives the lens an edge to start with. It’s a super-fast prime lens too, with an ultra-wide f/1.4 aperture. Fast apertures always bring plenty of gains to the table. The bokeh is beautiful and presents itself as smooth rounded circles at all apertures. We have the 9-bladed diaphragm to thank for this. The bokeh does a superb job of emphasizing the main subject. Previous 50mm lenses had 7-bladed diaphragms and produced less appealing blurred circles. The Nikon 50mm f/1.4G is a star performer when it comes to everyday people shots and portraiture. You can’t go wrong with this fast f/1.4 lens in low light. Handheld photography is quite possible indoors or outside in twilight. Fast 50mm lenses certainly open a plethora of shooting opportunities. This lens is perfect for any photographer who finds its focal length useful. It should make the shortlist of those who like to shoot using available light. Note that on a DX-format body it takes on a medium telephoto perspective equivalent to 75mm. That makes it even more appealing for head and shoulder and 3/4 portraiture. The 50mm Vs. the 35mm depends on needs and expectations. Only you can answer that. As a rule, the 35mm is likely the better choice if you shoot lots of video as well as stills. The build quality is a good average, but not everyone’s a fan of Nikon’s plastic lenses. It does help to keep the weight down, though, and the plastics tend to be of good quality. A slow autofocus is the most talked about frustration. A novice new to photography probably won’t notice it. But experienced amateurs and pros consider the slow AF to be the lens’ biggest drawback. The lens has a few other limitations but nothing major. Color or purple fringing is evident when using it wide open. It’s more pronounced in high-contrast situations and when using filters. Chromatic aberrations (CA) and other minor distortions are usually easy to correct. Any of the popular post-processing software programs will do. 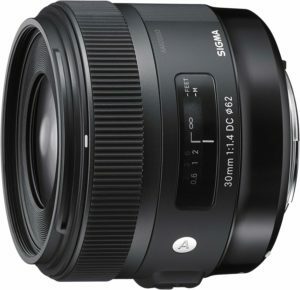 Click to See Price: Sigma 18-35mm F1.8 Art DC HSM This lens is the first of my all-around zoom picks for Nikon cameras. It’s the Sigma 18-35mm f1.8 Art DC HSM, designed for APS-C sized sensors. It makes a superb walkaround zoom lens, and here’s why. The lens’s zoom appeal is from a moderate wide-angle to near normal perspective. It’s a perfect everyday lens for stills photography, but it’s also a good choice for videography. Its bright, fast constant f/1.8 aperture is another welcome feature for a zoom. And this beast isn’t plastic either, unlike some of the Nikon prime lenses. We’ll look at the build in more details soon. The glass elements in this Sigma feature the latest in optical technology. The high-quality internal construction helps to reduce wide-angle curvature and lessens aberrations. I’m a big fan of internal focusing too as it speeds things up and doesn’t mess with front filters. This is a fantastic choice of zoom lens for anyone who shoots close-ups, still life, street scenes, and landscapes. The nice thing about the ART series is that Sigma seems to think about the end user. Little touches like the lens hood and front & rear lens caps show they’re listening. Many native brands don’t even bother. This Sigma is not a bargain basement lens, but it still sells well and enjoys positive feedback. Reviewers appreciate this glass for its low-light capability and much more. There’s credit given to the solid build, handling, and image sharpness. And the term I often came across to describe the focus ring was buttery smooth. I’d say that’s pretty apt. It’s a capable all-around lens—backed up by the plethora of user images. It’s not a macro, but folks still comment on how close it can focus. There are photos to prove the point. 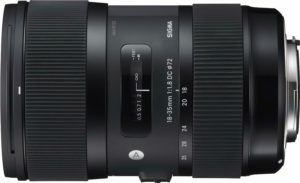 I estimate that around 85% of owners would recommend their Sigma 18-35mm F1.8 Art to others. Lines like best lens ever, an amazing piece of glass, and perfect all-rounder, are common terms. Some users complain about heavy vignetting, but there’s a reason for that. They mount the lens on a full-frame camera. But this lens is specifically for smaller APS-C sized sensors, hence their issue. The best way to describe the build quality of this third-party lens is outstanding. It’s on a par with Sigma’s 35mm f/1.4. It’s an ideal balance of metal and rubber parts with a touch of plastic. This is not a light lens, but it’s no heavyweight, either. It has a nice feel and fits comfortably in the hand. The versatility is also impressive as it switches between photographic situations with ease. It’s tack sharp across the range. The Super Multi-Layer Coating (SMLC) enhances image quality still further. SMLC helps to reduce ghosting and flare that results in razor-sharp, high-contrast images. Background blur or bokeh is beautiful at wider aperture settings. The 9-blade rounded diaphragm influences these stunning effects that isolate subjects so beautifully. There’s also a Hyper Sonic Motor (HSM) that ensures high-speed autofocus function. Sigma created this all-purpose lens with seasoned wedding portrait professionals in mind. But this puppy can handle so much more: indoors, or out, people, places, and things, amateur, or pro. If you shoot a lot of video with your Nikon DSLR, then this could be your perfect all-around lens. We already know of its stills capability, but it has a lot of fans among videographers too. Professionals working with HDSLRs (DSLRs capable of shooting HD video) tried it and liked it. Some became spellbound by its handling and performance for capturing high-quality motion. What impresses videographers most is the quality, handling, and incredible results for the price. The HSM with this lens is not whisper-quiet, but it should be. Don’t get me wrong, it doesn’t sound like a tractor either. But it’s too loud for recording video with the internal mic. Still, most folks serious about audiovisual quality will use a high-quality external mic anyway. Problem solved. There’s no vibration reduction, either, but that’s less of an issue with faster lenses. There are reports of both minor and major vignetting, but it’s minimal with APS-C sensors. It’s bad with full-frame cameras, but then Sigma designed this glass specifically for APS-C sized sensors. The final gripe is the horrible lens cap that comes with this lens—low quality meets high-quality. It’s not only difficult to put on but hard to keep in place. I’d replace it with a decent Nikon cap instead. My next all-around zoom lens is a Nikon. Meet the AF-S DX NIKKOR 18-105mm f/3.5-5.6G ED. It’s not the fastest zoom around, but it still a nice piece of glass with plenty to offer. This lens performs well for a product in its class and zoom ratio. What we have here is something equivalent to a 6x zoom, or close to it. Center sharpness is excellent throughout the focal range. I expected the outer edges and corners to be a little soft, and they are, It’s most noticeable at the telephoto end. Everything sharpens up beautifully when stopped down to around f/8. Bokeh is never as good with zooms as it is with prime lenses. The pleasant bokeh effect surprised me for a slowish wide-angle to telephoto zoom. It’s not gorgeous, but it’s still pleasing. This AF-S DX NIKKOR 18-105mm f/3.5-5.6G has the now predictable plastic build. It doesn’t feel cheap, though, and they’ve got the ergonomics just right. The all-plastic build also keeps it light. Summing up, I’d say the Nikon 18-105mm VR is a solid all-rounder. It performs very well in all crucial areas. Okay, so that’s my overview. Let’s now see what the lens’ owners have to say. Reviewers describe this lens as a decent all-around piece of glass for everyday photography. And those who have used the Nikon 18-55mm kit lens say it’s a significant improvement on that. Over 80% of those who leave feedback would recommend this lens to others. It gets points for its sharpness, handling, and affordability. It seems to be a favorite go-to lens for a lot of amateurs. 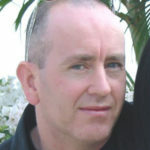 There are no negative comments about the price and plenty of positive feedback about surprises. It seems to meet or exceed the expectations of those who buy it. The shared positives point to image quality, versatile focal range, reliability, and cost. The shared negatives refer to the cheap, plastic build (especially the lens mount), and slow maximum aperture. Those last points, though, are what help to keep the retail cost so low. There’s no doubt this is a versatile lens with a useful focal range. It’s an ideal everyday zoom for a wide variety of situations. Think portraits, interiors, landscapes, street, action, and video. It’s not the fastest NIKKOR around, but it has effective Vibration Reduction (VR). It gives image stabilization equivalent to 3.5 stops. The result is sharper, blur-free handheld stills and HD video. The sharpness is outstanding when compared to similar products in its class. Image quality overall is even more impressive considering it’s a budget-friendly 5.8x telephoto zoom. A few other significant features include the AF Silent Wave Motor (SWM) and ED (Extra-Low Dispersion) Glass. There’s also the Aspherical lens elements (AS), and Internal Focusing (IF) to boot. Despite all the praise in this review, this is not a lens without a few drawbacks. The cons for Nikon’s AF-S DX NIKKOR 18-105mm f/3.5-5.6G ED are not extreme, but they’re still worth noting. The plastic build gets a lot of criticism, and some even call it flimsy. Despite this, you don’t come across reports that it falls to bits. The plastic also keeps the cost down, so it’s a kind of unfair gripe. There’s some evidence of corner softening at 18mm and 105mm. It’s not extreme, but it is noticeable. There’s also some distortion, though that’s easily fixed in-camera of using post-editing software. Finally, be mindful of ghosting and flare issues when composing your shots. Lens flare shouldn’t be an issue with Nikon Super Integrated Coating (SIC). Alas, it stills show up sometimes, so take heed. 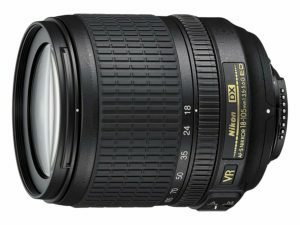 Click to See Price: Nikon AF-S DX NIKKOR 18-140mm f/3.5-5.6G ED At number seven is another Nikon zoom. 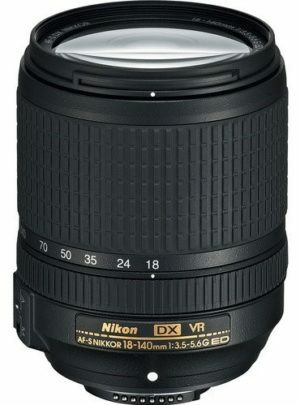 This one is the AF-S DX NIKKOR 18-140mm f/3.5-5.6G ED with Vibration Reduction (VR). This pick gives you even more scope at the telephoto end. Nikon calls this their grab and go lens, but are they right? Well, it meets or exceeds most expectations with its optical performance and fast autofocus. That makes it a good all-rounder. The internal focus (IF) mechanism helps to speed up AF as there are no outer lens movements. A non-rotating filter thread is ideal for using special effects filters like polarizers and starburst, etc. Vibration Reduction (VR) is another feature to consider. It’s especially helpful with the slower wide aperture. The VR lets you take handheld shots that would otherwise need flash or tripod support. The NIKKOR 18-140mm f/3.5-5.6G ED checks all the boxes for its class and price. Its design, features, ease-of-use, and image quality make it a very good, though not exceptional, grab-and-go lens. This popular lens has over a 90% approval rating from owners. Reviewers talk of how it makes an excellent walkaround lens due to its lightweight and useful focal range. The feedback points out how it allows more time to compose shots and less time swapping lenses. Creative users expand its use further by enabling its Nikon macro lens capability using extension tubes. It’s true that Nikon’s aims its AF-S DX NIKKOR 18-140mm f/3.5-5.6G ED at the amateur user. That also means it gets a fair assessment through the eyes of amateur photographers, and they love it. Most reviewers understand that it has a slowish aperture. They also know that sharpness is impressive though not exceptional. They appreciate the lens for its excellent value for a product in its class. There aren’t too many uploaded photos to support the reviews, despite the high praise. That’s a shame because a picture—as the saying goes—can paint a thousand words. The build quality is on a par with other consumer lenses by Nikon. Its solid construction has a metal bayonet mount protected by a rubber gasket. It’s robust too, and it feels nice in the hands. The lens has edge-to-edge sharpness across its focal range, even wide open. That’s impressive for a zoom at this price. Nikon uses specially shaped aspherical glass to enhance the sharpness. Vibration reduction (VR) is always a welcome feature, especially with slower lenses. The claims are a 4-stop advantage. The VR is silent and gets a lot of praise from users for its smooth performance. The AF-S DX NIKKOR 18-140mm f/3.5-5.6G ED enjoys a full range of Nikon advance technology. These advanced technologies include ED and Super ED Glass, Silent Wave Motor (SWM), Internal Focusing (IF). There’s also A-M (Auto/Manual Mode), and Super Integrated (multilayer) Coating or SIC. Nikon’s 18-140mm f/3.5-5.6G ED is slow and goes down to f/5.6 at 100mm. It’s no big deal outdoors in bright light. It’s painful, though, for fast action photography in failing light. The VR helps with indoor shots, but it’s often better to use flash. Either that or crank the ISO level up to compensate. Users don’t complain about speed as most know what to expect before they buy it. There are a few complaints about the focus ring, but they’re inconsistent. Some say it’s too loose and tends to wiggle in places. Others say it’s too stiff. Either way, something needs fixing. Vignetting (shading) is evident at wider apertures. The bad spots are at 18mm at f/3.5. The sweet spot is around f/8 and smaller where it becomes almost nonexistent. It’s better to have no noticeable edge vignetting, of course. The good news is that it’s quick and easy to fix using any of the popular post-processing software. Click to See Price: Tamron AF 28-75mm f/2.8 SP XR Di LD Tamron’s SP AF28-75mm F/2.8 XR Di LD Aspherical lens is my 28-75mm zoom pick. It’s has a nice compact design too. And its 18 ounces make it a comfortable lens to carry for everyday photography. It’s not a native Nikon lens but nor does it claim to be. But it’s a worthy product for the money, and fast, too. The lens’ optical quality is on a par with lenses that demand a higher price. I know this lens is a good seller and enjoys lots of positive feedback (see next section). The biggest letdown for me, though, is that it feels as plastic as it looks. Not all plastic lenses do. The good news is that the Tamron AF 28-75mm f/2.8 SP XR Di LD is a great performer in its class. It has decent overall sharpness, low (not no) vignetting and distortion, and it’s affordable. This Tamron is an easy lens to use as well as being economical and light. 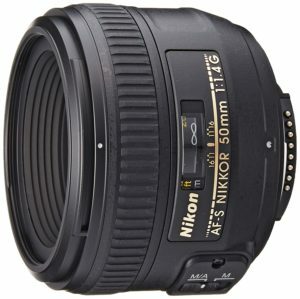 It’s an excellent choice of all-around lens for most Nikon DSLRs. It may not be a pro zoom, but it’s not a tacky kit lens either. Having a constant f/2.8 aperture makes it perfect for everyday photography. It’s the go-to lens for a lot of keen amateurs for travel, portraiture, street shots, and whatever else. Tamron launched the AF 28-75mm f/2.8 SP XR Di LD back on May 30, 2008, and it’s still with us. That means it’s stood the test of time and there are plenty of user reviews to back it up. Well over 80% of users would recommend this lens. That’s quite an achievement considering the competition. The price is up there on the list of likes, but price alone is only part of its attraction. Reviewers appreciate its fast, constant f/2.8 aperture, lightweight, beautiful out of focus bokeh. There’s praise for its sharpness and the lens’ all-around appeal for everyday photography. Reviewers do mention the noisy mechanics, and not everyone’s a fan of the zoom operation. The cheap lens hood and lens cap get a few moans too. There’s some talk of noticeable vignetting with an f/2.8 aperture at 28mm on a full frame. Again, these are mild gripes from users and easy to fix post-processing. Tamron had plenty to boast about when they first introduced this lens in 2003. It was their smallest, lightest, and most compact high-power zoom ever, and indeed the world. That’s no small feat. The fast, constant f/2.8 aperture is another welcome feature for such an affordable lens. The overall lens sharpness is excellent with only slight evidence of corner softness at its wider range at f/2.8. Lens sharpness is at its best from f/4, displaying edge-to-edge definition across the focal range. The Low Dispersion (LD) Glass reduces chromatic aberration (CA) and thus improve sharpness further. Hybrid Aspherical lens elements help to enhance image quality. The bokeh (out of focus areas) is also smooth for a zoom. It’s not exceptional, but it’s more than pleasing for most users. A wide-angle to standard zoom range is ideal for most everyday photographic situations. And this lens it’s fast enough to work well in low light. Extra Refractive Index (XR) glass helps to keep the ergonomics sweet and the design compact. Not only does XR keep the physical length minimal, but it also minimizes optical aberrations. The internal focusing (IF) system is both valuable and practical. It reduces the minimum focusing distance (MFD) for one. And the non-rotating front filter means no disruption to special effects filters. To end the highlights, we have the lens’ Zoom Lock (ZL) feature. ZL prevents the lens barrel from extending when the camera/lens hangs around the photographer’s neck. Tamron’s AF 28-75mm f/2.8 is a superb walk-around lens for Nikon DSLR cameras. There are very few complaints about its weight of just 18 ounces. You’d need to have a good reason to take it off. This wide-angle to standard zoom by Tamron is not perfect, but it’s close—for the price. There are quite a few complaints about the plasticky finish. It feels quite cheap in the hands too. Another gripe is with the noisy zoom mechanism. It’s not extreme, but it’s noticeable when compared to some lenses. Audible zooms are problematic at quiet events or shooting video using internal mics. The lens doesn’t have any built-in image stabilization (IS). No IS isn’t a huge deal since it’s a lightweight lens with a fast aperture. It would still be a nice feature to have all the same. Click to See Price: Tamron 28-300mm F/3.5-6.3 Di VC PZD The focal range of the Tamron 28-300mm F/3.5-6.3 Di VC PZD is one of its main attractions. Price is another. Skip this review if you don’t need to extend to 300mm. Everyone else, keep reading. This is a compact, lightweight lens when you consider its range. It lets you zoom in or out on all kinds of photographic subjects. And the Vibration Compensation (VC) is especially useful for low light shots. I don’t have any complaints about the lens’ sharpness, especially at the wider angles. Some chromatic aberration (CA) is visible, with clear evidence of purple fringing along the outer edges. Some corner shading was also evident, most notably at the wide and telephoto extremes. It’s easy to fix most issues using post-processing software. It’s worth the effort too, considering the price. Tamron’s 28-300mm F/3.5-6.3 Di VC PZD It’s a mechanically sound piece of glass. It has a steady zoom action, smooth manual focus, and silent autofocus (AF). It feels comfortable in the hands too. There isn’t any weather sealing, but the lens is moisture-resistant. That doesn’t mean you should take it out in a storm. It does, however, offer some protection outdoors, and that’s better than none. Some call this the Swiss Army Knife of lenses. That’s because it’s sharp and versatile. I’d agree with that if you compare it like-for-like, and not against higher-end lenses as some critics do. The 67mm filter thread is a welcome size because it’s not so big. That means the cost of a Skylight or quality UV filter is in keeping with the lens’ affordability appeal. 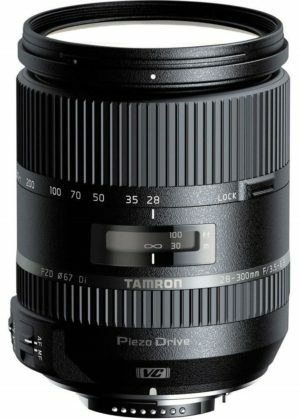 Tamron’s 28-300mm F/3.5-6.3 Di VC PZD has a user approval rating of around 77%. One of the most talked-about benefits of this lens is its versatility. The focal range is convenient for all kinds of everyday situations—a view shared by many who left feedback. Reviewers say its light weight makes it an ideal lens to take on travels. People seem to love it as an all-purpose walk-around zoom. Not having to swap lenses over is something users appreciate. People also talk of the quiet, smooth operation and quick focus. The image sharpness and overall quality gets a thumbs-up too. Those who disagree have unrealistic expectations for a lens in this class. Some reviewers talk about how they’d like it to be faster. Most photographers also know that would make the lens bigger and heavier, thus reducing its all-around appeal. There’s no doubt this lens is a lightweight package for a zoom lens in its class. The portability factor is always a primary consideration for all-around everyday lenses. This glass certainly checks that box. The build has a nice feel to it. You get the sense that it’s sturdy and robust enough to stand up to a few accidental knocks. It also sports a moisture-resistant construction—many lenses don’t. Optical sharpness—though not exceptional—is decent for a lens of this type. It’s more noticeably sharp zoomed-out compared to zoomed-in. I’d give it a 7/10 overall, which is about what I expected. Most owners of this lens are happy with the sharpness and image quality more generally. They know it’s not going to match a prime lens, but photographers also know it’s way ahead of a regular kit lens. The autofocus (AF) is both fast and quiet thanks to the PZD (Piezo Drive). PZD is a standing-wave ultrasonic motor system that helps to make this an ideal all-purpose travel lens. It’s not the fastest zoom around, but it’s not the slowest either. And Tamron’s Vibration Compensation (VC) system goes some way to help steady handheld shots in lower light. A 7-blade circular iris diaphragm gives nice blur effects or bokeh. Bokeh evaluation is always subjective, though. I do think this lens’ out-of-focus areas are at least pleasing to most eyes. I’d say Tamron’s 28-300mm F/3.5-6.3 Di VC PZD is one for the shortlist as a capable all-purpose zoom. It checks many of the right boxes, and that includes the affordability factor. The lens comes with a plastic lens hood, though I wouldn’t list that as a good thing. It seems to be flimsy and fragile. It wouldn’t take much to crack or break it altogether. Everything about this lens is a good average, or compromise if you prefer. As an all-around zoom, it’s an exceptional value if you don’t compare it unfairly to higher-end glass. This lens should meet the needs and expectations of most entry-level users. However, it’s not such a good choice for photographers used to much higher quality optics. The thing to be mindful of is that the lens is lighter and cheaper than most of the alternatives. 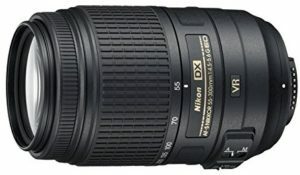 Click to See Price: Nikon AF-S DX NIKKOR 55-300mm f/4.5-5.6G ED My final pick is a 5.5x telephoto zoom lens by Nikon. 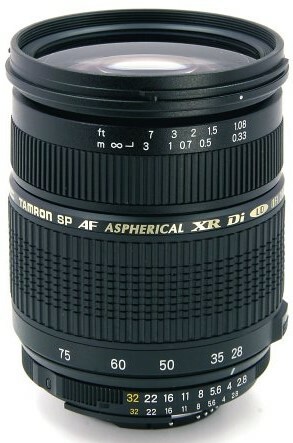 It’s the popular AF-S DX NIKKOR 55-300mm f/4.5-5.6G ED. It shares some similar characteristics with the Tamron above, but it’s also different. The Nikon isn’t as wide, and it’s slower than the Tamron, but then it’s around 200 dollars cheaper. That last point is a significant buying consideration for folks on a tighter budget. There’s more to admire with the AF-S DX NIKKOR 55-300mm f/4.5-5.6G ED than its price. It performs well optically—a little better than expected—considering its low cost and zoom ratio. Sharpness, especially in central areas, is consistent across the focal lengths. The bokeh is gorgeous, enhanced by the lens’ 9-Blade rounded diaphragm. Chromatic aberrations (CA) are nothing to worry about and easy to correct. There are no concerns with vignetting either, not before 135mm. It then becomes a little more evident at the wider apertures. Once stopped down to f/8, though, the vignetting disappears. Summing up, the NIKKOR standard to telephoto zoom is a capable, budget-friendly, all-in-one lens. It’s a relatively compact and practical choice with a slim body that’s easy to handle. Who is the AF-S DX NIKKOR 55-300mm for? I’d say anyone who wants a standard-to-telephoto zoom lens with vibration reduction (VR). A lens capable of handling a wide range of shooting opportunities. Let’s see what other users like to say about it. There’s no shortage of user feedback for this lens, and more than 90% of it is favorable. The focal range is one of its main attractions of course. Still, range alone is not enough to justify its popularity. It’s a zoom that offers real versatility, plus the convenience of not having to keep swapping lenses. You can find plenty of uploaded images—near and far—that illustrate its flexibility. Common uses tend to be for school sports events, and portraiture. Others are landscapes, seascapes, birds, bugs, pets, and other subjects. Reviewers are also happy with the build quality and value. There are very few complaints on the image quality front. But this is a lens aimed at amateur users. Most hobbyists are less critical than prosumers, semi-pros, and professional photographers. There are a few shared gripes among reviewers. Some people complain of the slow autofocus and poor low-light performance. The length of the lens is also a bit too long, or awkward, say others. You won’t get a much better build quality for a consumer zoom lens in this price category. The tough polycarbonate plastic, metal body mount, and plastic filter thread help to keep it reasonably light. The build doesn’t match the more expensive Nikon lenses, but it’s still an impressive construction. It’s an easy lens to handle as well. Ergonomics and ease-of-use are always significant points. Nikon’s Vibration Reduction (VR) provides image stabilization of around 3.0 stops. That means more opportunities to take blur-free photos by hand. VR is a welcome addition to any slowish zoom. The lens’ Silent Wave Motor (SWM) ensures the autofocus remains smooth and accurate. The out-of-focus (bokeh) is creamy, enhanced beautifully by the 9-rounded blade diaphragm. There are no issues of zoom creep with this lens. Lens barrel creeping can be a real annoyance with some long zooms, but not this puppy. As with other NIKKOR lenses, the specialized lens elements help to improve overall image quality. These include Extra-Low Dispersion (ED) elements, and Nikon’s Super Integrated Coating (SIC). There’s also something called the HRI (High Refractive Index) Lens Element. HRI helps to keep the lens as compact as possible. It also helps with high contrast even at the widest apertures. Finally, there’s the impressive U.S. warranty that goes above the standard 1-year international cover. It’s the 4-year complimentary Extended Service Coverage for buyers in all 50 US states. The warranty shows the company’s confidence in their product. That’s always good news for buyers. The main downside to Nikon’s AF-S DX NIKKOR 55-300mm f/4.5-5.6 is its slow max aperture. Slow apertures lead to slower shutter speeds that can still prove too slow even with the ISO cranked up. Yes, there’s image stabilization (IS) to help steady handheld shots. But there may not be enough light for indoor shots. It’s something to think about if you do—or hope to do—a lot of low-light photography. The autofocus (AF) is a tad on the slow side, and it can become quite noisy. The Silent Wave Motor (SWM) should give fast, quiet AF. It’s not always the case, not in low-light or high-contrast situations.